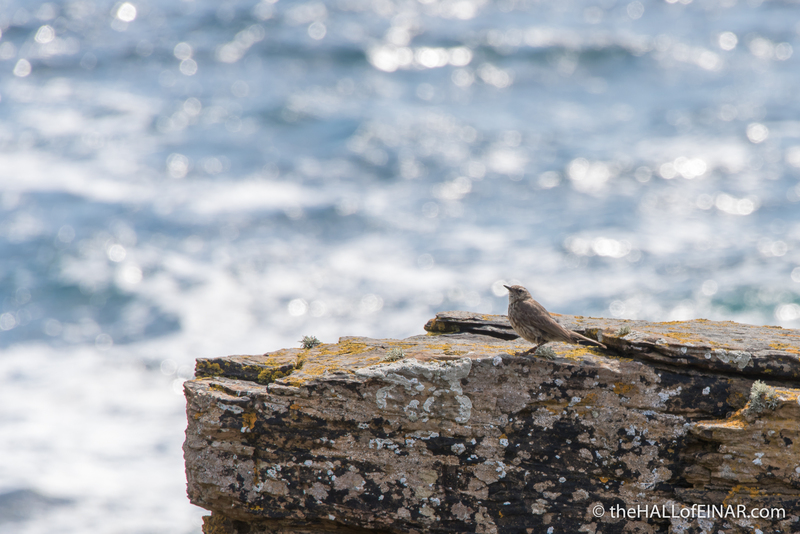 I’d love to be able to identify the different species of Pipit on Westray. 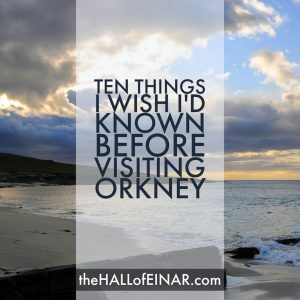 The problem is that I can’t get near them. And even if I could get near them, my telephoto lens is being repaired so my view is still tiny. 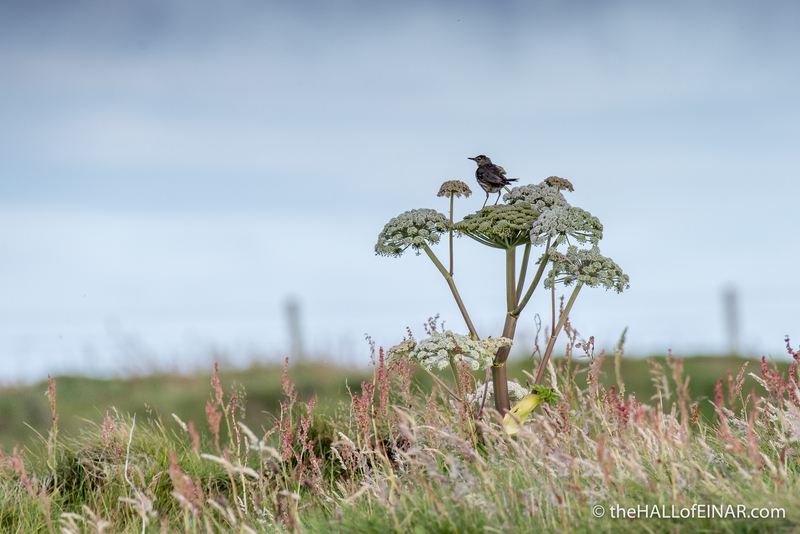 Apparently there are two species of Pipit commonly found on Westray; the Meadow Pipit and the Rock Pipit. 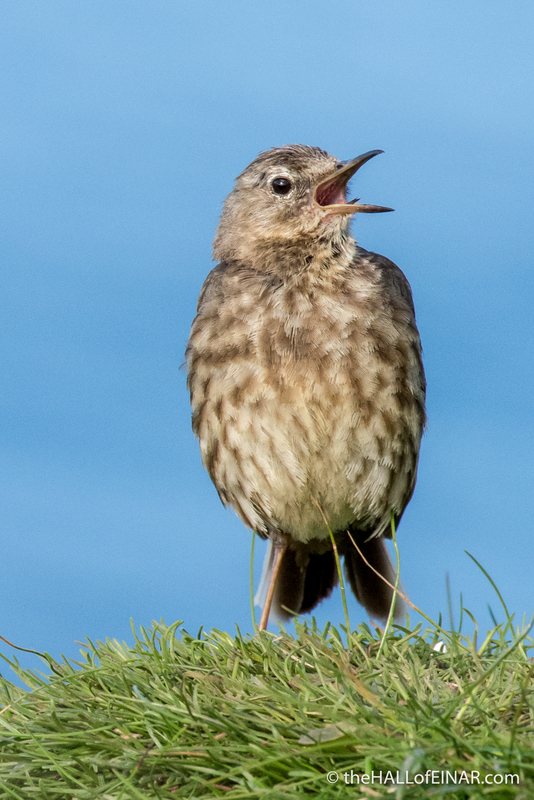 Meadow Pipits are found in meadows and Rock Pipits are found on the rocky seashore. 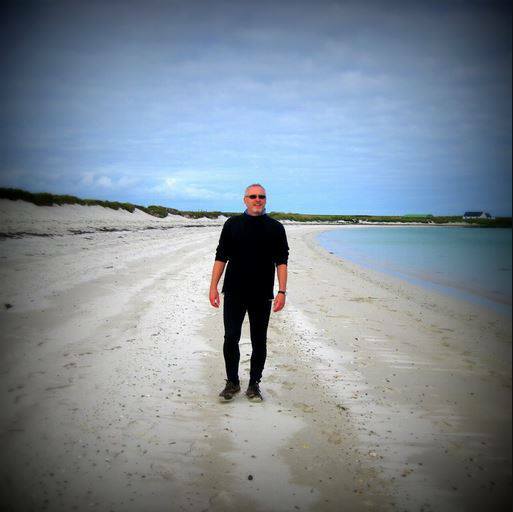 That seems clear, it’s just that the meadows on Westray end in rocky seashore so both exist side by side. I’m going to have to persist in my attempts to distinguish between them. 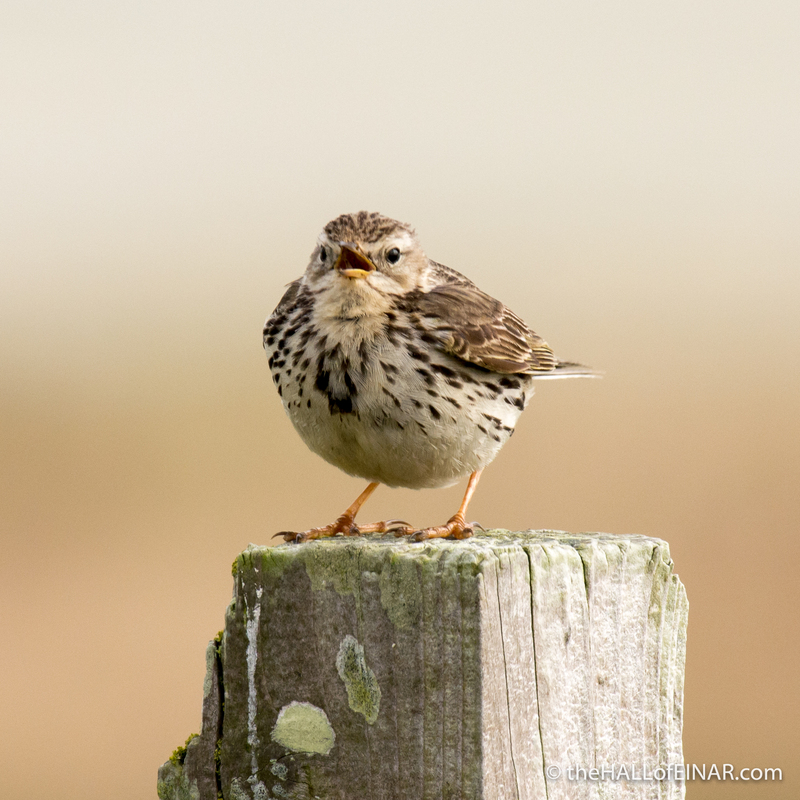 The Meadow Pipit, Anthus pratensis, is known in Orkney as a Teeting. 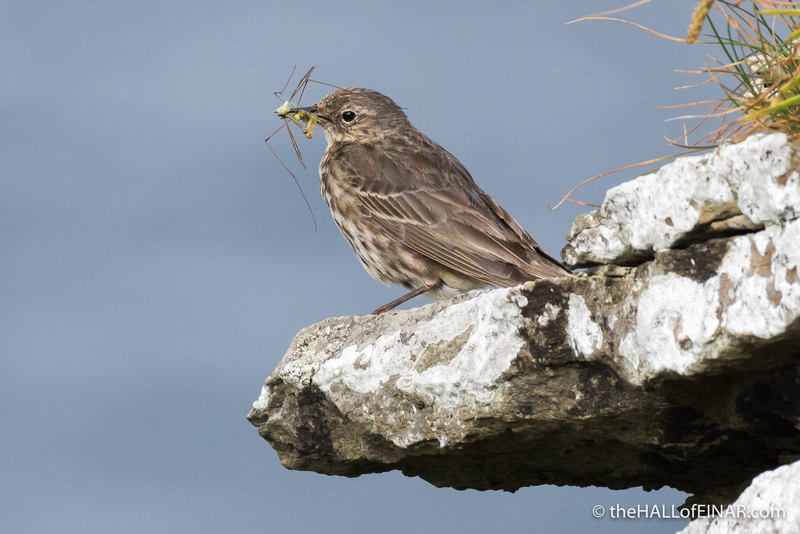 The Rock Pipit, Anthus spinoletta, is known in Orkney as a Banks Spurro. 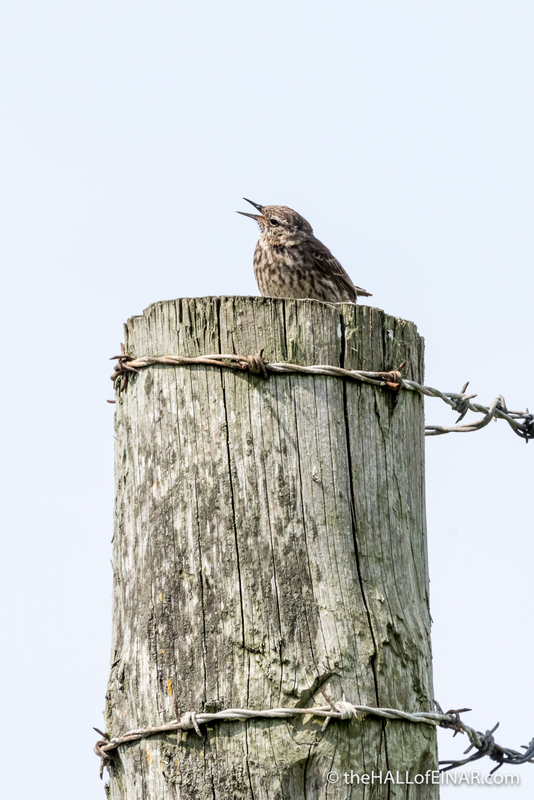 Thankfully I can largely rule out Tree Pipits; because of the lack of trees. Light coloured legs = Meadow Pipit. What a shame I can’t see the legs on this one at all. 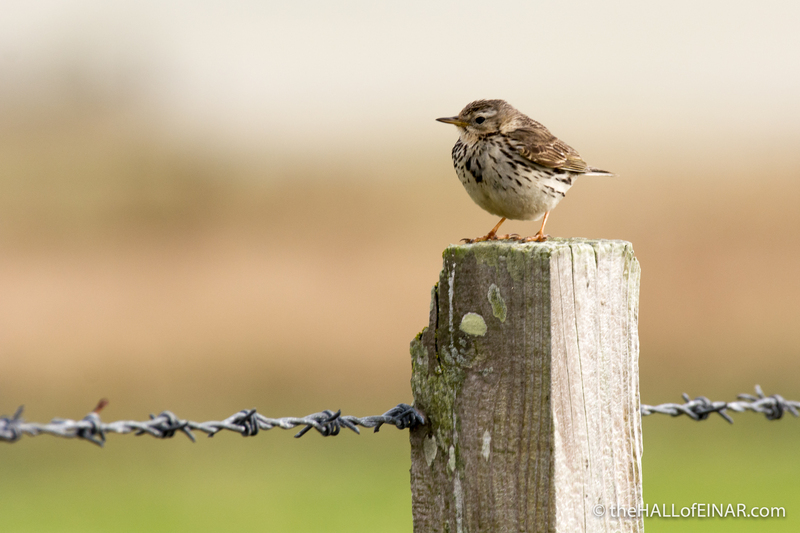 More defined brown breast stripes = Meadow Pipit. 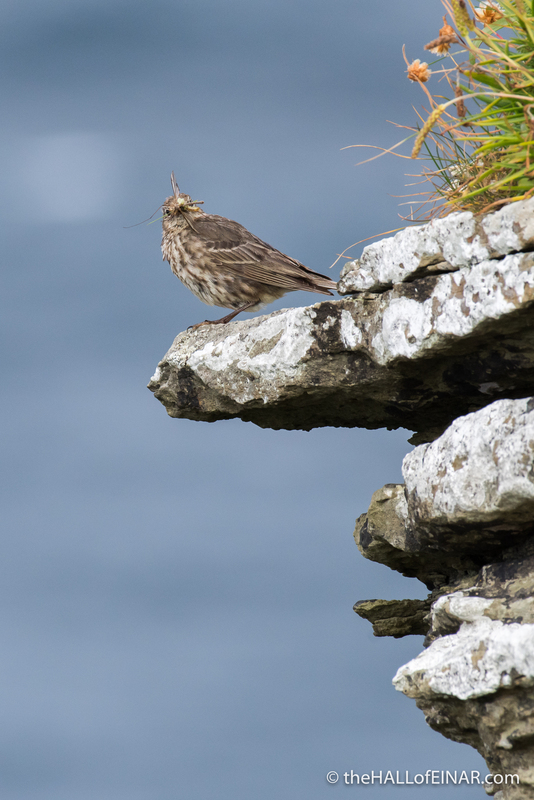 I think it’s a Rock Pipit. A few days later and I’m faced with another Pipit. This time I’m in full camouflage but it’s useless; any movement and it flits off again. I have to stay prostrated on the rocks waiting for it to return to its favourite rock. There it is. 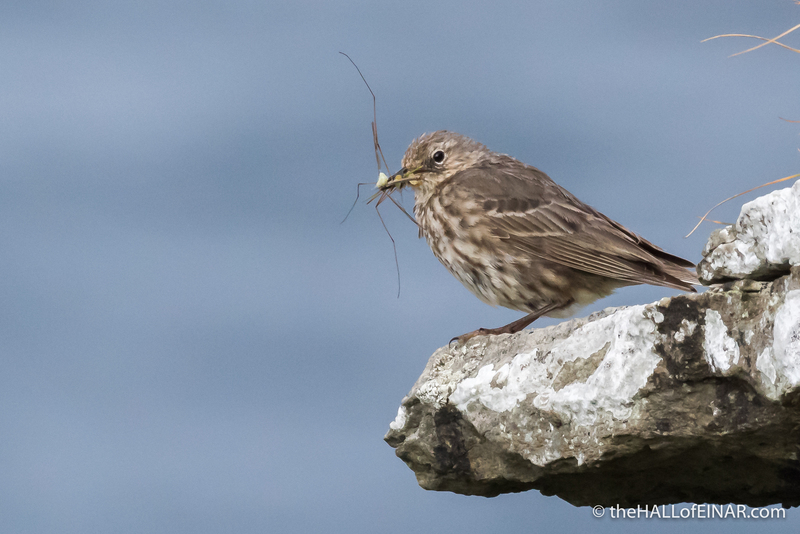 A Rock Pipit with a juicy Cranefly. 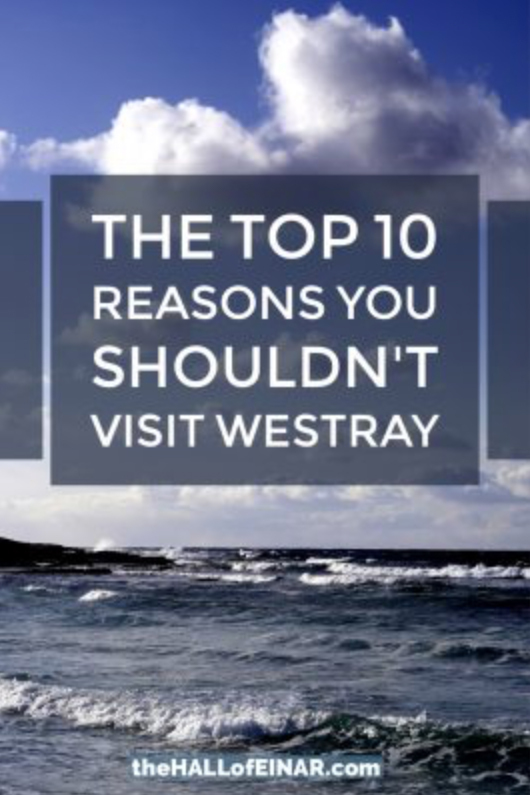 The tiny guidebook A Comprehensive Field Guide to the Birds of Westray says Rock Pipits, “Can be found fossicking amongst tangles.” I wish I was fossicking amongst tangles; it sounds great fun. It has dark legs, but I’m not sure how light a Meadow Pipit’s legs are. 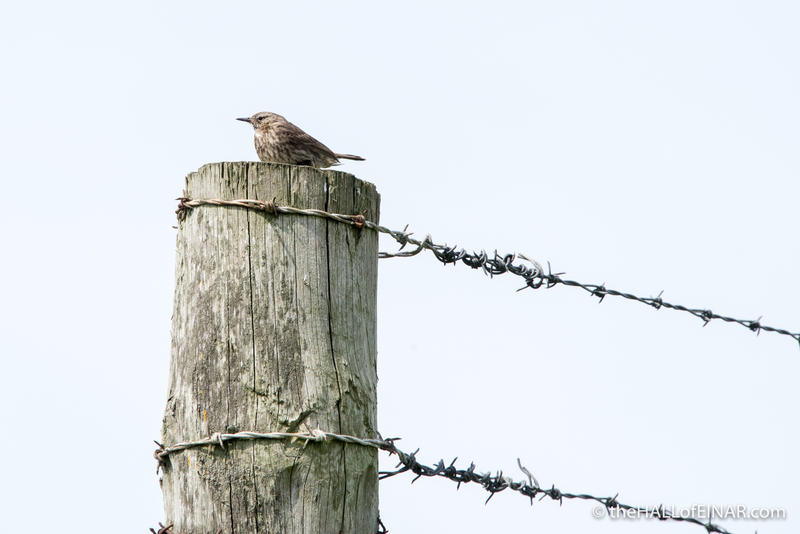 Driving home a few days later we see a pipit on a post by the side of the road. I grind the car to a halt and the Puffin Whisperer is kind enough to lend me her camera for a few shots. I’m delighted that this one is very much alive. 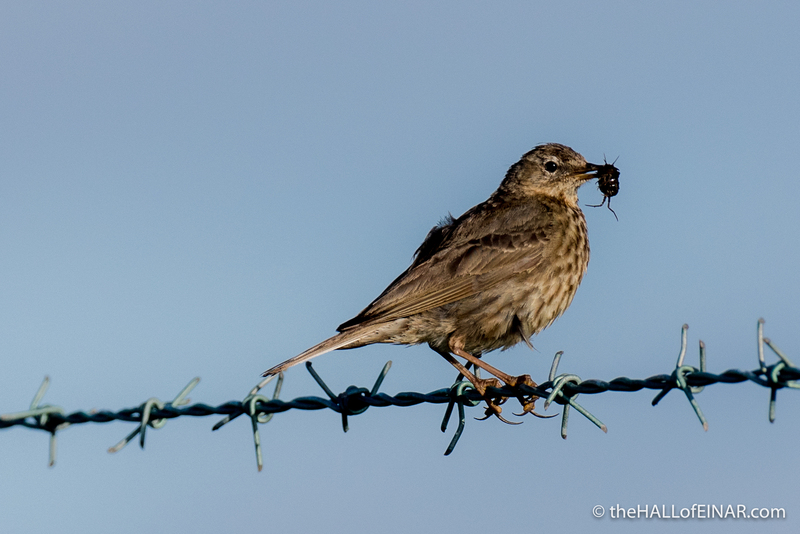 Its claws are nearly as long as the barbs on the wire. Then it stands on one leg and calls and calls with a beautiful voice. It was worth the wait. I can now tell them apart. 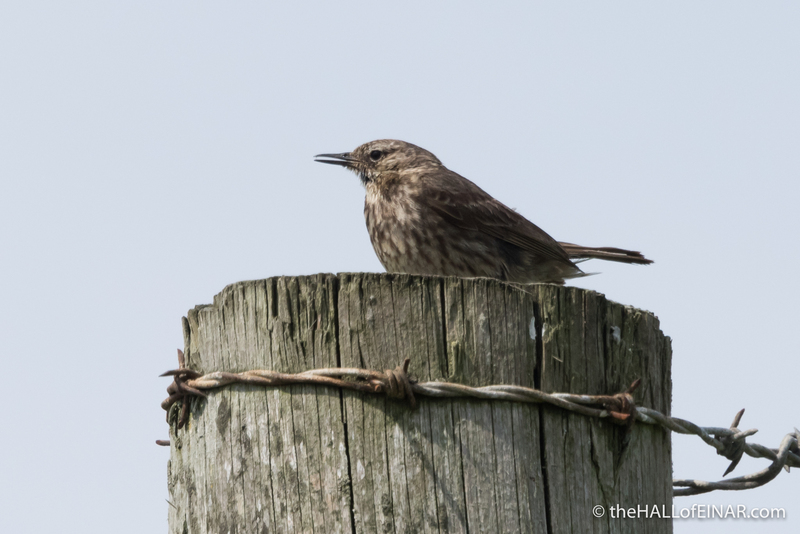 2 Responses to "Rock Pipit, Meadow Pipit, Rock Pipit"
Enjoying your posts very much. 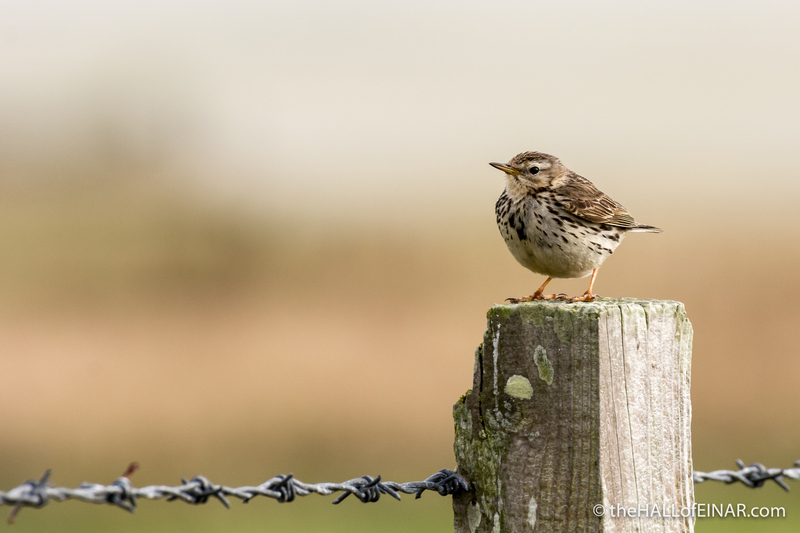 We have a fair old number of Meadow Pipits round these parts, they are a favourite of mine. Your pic of the one on the angelica is a belter ! Thanks very much David – much appreciated. They have bags of attitude and character don’t they?